New Post : From Broke To 6 Figures In One Year - Here Is How I Did It! 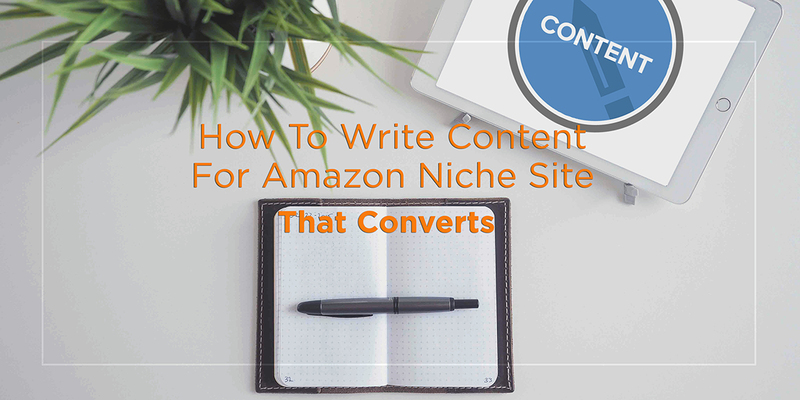 To sell Amazon products from your niche site, the number-one consideration is content. The content is everything you do to pursue your readers to buy the particular product following your affiliate link. You need to create highly valuable contents that should be far better than the sites currently ranking in the top 10 for the keywords you are targeting. The content you produce for your niche website must be 100% original. No spun or rehashed content will work for your niche site on this post-panda era. Whenever you put some real value after hours of research, and write a compelling copy, readers will spend more time on your site, which eventually results more search traffic and conversion. So how do you write a compelling and convincing content for your niche site? Without getting into the rules of grammar, you need to realize what you’re doing is in the realm of writing. Sure, there are several rules you need to follow such as sentence structure, verb placement, and word flow. Let’s talk about the rules which will help you to write content that converts. Realize that niche site contents are designed to inform, not to sell. You’re writing a review, not a product description. Your content needs to gain the trust of your readers. They search on Google to read experts’ opinion, and you should deliver what readers expect. You need to not only be compelling but also be objective. Be thorough in your review and try to cover all the points that you would want to see if you were the reader. The best way to make sure your visitors convert into buyers is to recommend only the best products available. You need to spend much time to do research on the best products from Amazon. Check every product rating, customer reviews, and authority sites’ recommendation to determine whether you should direct your readers to buy a particular product. According to a research, 81% people search online before buying a product while 60% of them rely directly on search engines. Whenever someone decides to buy any particular product, they do it after seeing the benefits, not bullet pointed features. So whenever they search about a particular product in Google, they want to see how the product will benefit them. You need to write what your readers are looking for. Your research should tell you what your reader needs and what you found that’s interesting. As you do your research, make a list of the pros and cons. Make a separate list of the features of the particular product. Next to each feature, write a short sentence about how that feature might benefit someone. Elaborate it with interesting ways. When it comes to writing, remember this cardinal rule. Most major news syndicates across America – including newspapers, magazines, and news television channels – write to a fifth-grade reading level! Unless you’re writing a case study for a physician in a medical journal, you need to keep your words and sentences short, clear, and concise. In other words, write for your audience, in an interesting and easy manner. Make sure your review speaks to people using words that they understand. Take some time to understand standard English dialect. Don’t expect or assume that your audience can read at the college level or understand complex concepts. 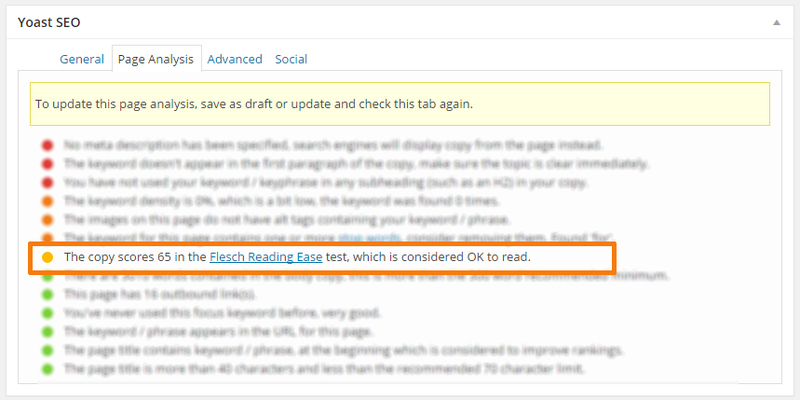 To measure if your content is well readable by average people in United States, you can depend on Readability Score checking tool based on Flesch–Kincaid readability tests. Yoast SEO plugin is having the feature of by default, and you can analyze your score before publishing the content on your site. As most niche site contents are written for general people, you should aim for a readability score of 60 to 80. There is a plenty of readability improvement tools available for writers. This readability improvement tool can help you in a big way suggesting you which sentences can be re-written to improve your score. It will create a huge difference to your writing in the long run. Your writing needs to be engaging. When you write, do it as if you are talking to your reader directly. Don’t write as if you’re writing a document that they will read someday. By using the same dialect and vocabulary that they use every day, you will be able to engage these people easily. Convincing people is not as easy as one might think. You really need to be engaged with them. You not only need to understand the art of persuasion and art of selling, but also need to make the content engaging.This engagement is what will most likely sell your product. While writing content, you need to write in the second person. That means you need to talk ‘to’ the reader, and not ‘at’ the reader. There are three main talking points you need to include in every product review or any other type of content that you write for niche site. They include features, benefits, and how it relates to your reader. Whenever you look at a product description, you usually see a small bulleted list of features. These features are not selling points. They offer no reason for anyone to buy the product. So you also need to add what are the benefits of this feature, along with how it relates. Let’s take a look at a spoon with a silicone handle, for example. The product description for this particular spoon may say something along the lines of, “6-inch silicone handle,” as a feature. This description leaves it up to you to realize that a silicone handle offers a certain degree of comfort when you use it – that’s the benefit. The features talk about a product’s design. The benefits tell you how it might make your life a little bit easier. The benefits give you reasons to buy it while the features do not. What you need to do is analyze all the features of the products, and need to describe the benefits. Great content comes after a lot of research. Research is where you get into the nuts and bolts of getting the raw material for your content. It may take some grunt work, but the amount of research you put into your content will show in the accuracy and thoroughness of how well you know your product. If you don’t put a lot of research into it, your content will come off as unbelievable and lack credibility. You will have very little hope of selling anything without doing a decent research on what you’re selling. When you’re doing your research, don’t limit yourself to a single website. Read the customer reviews on Amazon, reviews left on the manufacturer website, industry authority sites and perhaps look at other sources on how it works and what others think about it. You should also check YouTube for video reviews. Case in point, the more research you do, the better prepared you’ll be to write a convincing product review that converts. Needless to say, if you don’t put adequate research into your product review before you write it, your product review will suffer in two ways. One, no one will read it or take it seriously. That will result in horrible sales figure. Two, if people don’t read it or stay on your page, your bounce rate will be high, and search engines don’t like website with high bounce rate. Your content is not a brochure. It is not a sales letter that reads in such a way that tells people point-blank to buy the product. Remember, niche site contents don’t do the selling at all. Amazon is a wonderful website that does the selling for you. Product reviews are aimed to pre-sell a product. By the time a customer or reader reaches the Amazon website, they are already prepared to purchase the particular product. Your job is to inform them of the features and benefits and why they should buy the product. Furthermore, your content needs to be objectionable. When naming the features and benefits, insert the good with the bad (I mention them in content as PROs and CONs). If your product review reads as if you’re already sold on the product, it won’t be convincing. Tell people what to watch out for. If you were to include alternatives, your content could be even more convincing by showing that you are impartial to the product you’re reviewing. Then, in the mind of the reader, the question no longer becomes whether the user should buy a product, but instead which one they should buy. Giving them that option will increase your conversion rate. 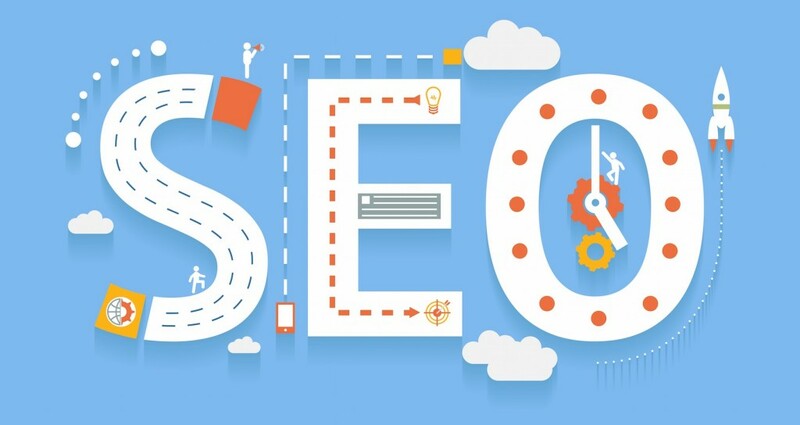 When you talk about or compare a feature with another product, you will get an opportunity to increase your internal linking that will eventually boost your search engine ranking. What’s your niche site content goal? It’s definitely sending visitors to Amazon. You need to use the right call to action into your content to pursue your readers to take that desired action. Ask your readers to take action, whether it’s’ buying a product from Amazon or signing up for a bounty offer like baby registry. You should also use some wise call to actions within your contents. This will make your readers to click on the link. Here are a few ‘lines’ to use on your content that make you readers take action. Spelling and grammar mistakes could be affecting your website conversion rates. Making grammatical mistakes in content hurts your effectiveness, and readers switch somewhere. There are plenty of resources available online on common spelling and grammatical mistakes, and how to avoid them. You should definitely check them before your write or edit your next niche site content. You can use online tools like Gramarly or desktop applications like WhiteSmoke (I personally use this tool) to instantly check the issues and fix them right away. For most of niche site owners, the story is almost same. We review hundreds of products without even using. Isn’t it challenging? Yes, off course. Human Proof Design has a step by step content on writing reviews without using the product. I’m summarizing here the tactics I personally use. We can review a product with two types of approaches. One, I used the product. I have firsthand experience. Two, I don’t own the product, but I’m an expert and did a lot of research. Niche site owners should go with second approach. Instead of saying ‘I used’ statement, you can more focus on background information of the products, feature benefits and user success stories. When writing an individual product review, don’t just limit yourself to that particular product. Also research on competing products and mention some of the differences and benefits. It will make you more trustworthy. While talking about particular product, also discuss the reputation and history of the brand or manufacturer. Talk about the unique selling propositions of the brand, successful launching and technology they invented before. Finally, when it comes to evaluate the product or saying the final verdict, you now need to depend on Amazon customer reviews. Discuss the PROs and CONs and balance the final assessment based on it. On this stage, make people understand that the product you are reviewing is a smart buy for them, and close it with a call to action that ask readers to visit Amazon for further information. There are a lot of niche site case studies online. 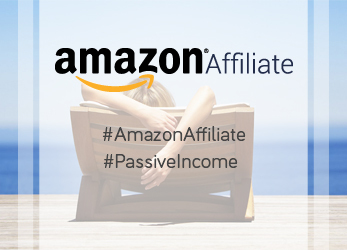 Some of them have site to Amazon click conversion rate of 60%, and some have poor 5 to 10%. For starters, most of them don’t use right verbiage while others don’t utilize the proper format. Proper formatting doubles your readers average time on page. It enhances the user experience by creating flow and readability. Both of them are crucial, as your website will have two types of readers to read your contents. The first type of reader is a person who skims. This person is looking for the gist of the content, and will only read the first couple of sentences of the first couple of paragraphs and maybe the conclusion (along with the sub headings). It’s imperative that you incorporate headings into your content as it breaks up the conversation into paragraphs that span between 40 to 150 words each. If you go for anything more than that and you risk readers who will not read your content! The next type of reader is someone who is very thorough, and will take the time to read your entire review sentence by sentence, word by word. It is for these people that you need to follow every grammar rule, which allows them to get a feeling for the product for themselves. I publish mainly 3 types of contents. Review Contents, Product List Long Tail Keyword Contents and Resources Contents. These are the main contents for niche site. We review any particular product and write a long content only about the features, specifications, benefits, pros and cons about it. I write around 700 words for product reviews. However, you can go for any words between 500 to 1500 words. 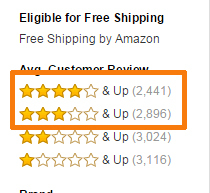 I see some marketers are even making 2000+ words product review, but my opinion is not to go over 1500 words anyway. More than 1500 words for a product review for niche site will be over killing our resources. Product list long tail keyword contents are type of contents where we review more than one product. When people search ‘Best Folding Knives’, they want to see a list of folding knives which are best. To target this type of keyword, we should a make a list of best products and incorporate the reviews into one content. I personally follow the following formats for product list long tail keyword contents. To target the keywords start with question (eg: How to buy) and informational keywords (Eg: Juicing Recipe for Weight Loss), I develop resource/how to contents. I always try to write these contents with a lot of reference, statistical data and full of stories. Writing in-depth, and being practical help the content to go viral. I recently started testing list post, BuzzFeed’s most shared contents are all about list. 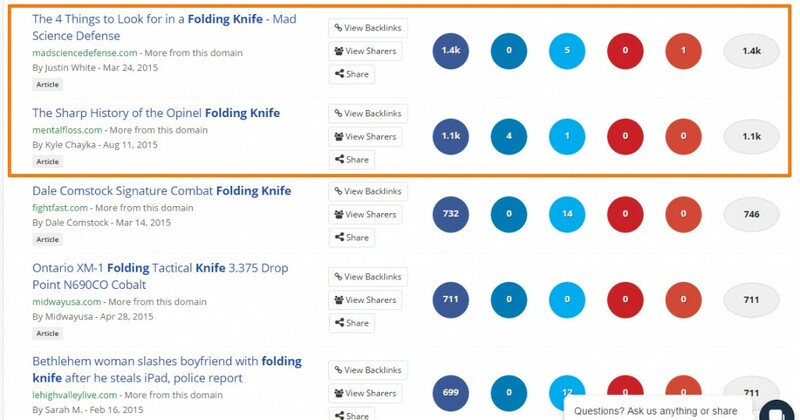 When it comes to generating content idea, getting proven format and see my competitors’ viral content, BuzzSumo has become the key analysis tool that I use. This great tool helps to discover the topic and content format on your niche that worked in the past. Before going on to discuss about homepage content, I want to show you something. These are the Analytic screenshots from 2 of my random niche sites. The # 1 landing page in terms of traffic is homepage, for all sites. So whenever it comes to developing homepage content, you need to double research your product selection, design and content formatting. I use the following format for homepage contents. Review of Each Product [200/250 Words at least] – As I recommend top 10 product on homepage, this makes a 2000 to 2500 words. Things To Consider Before Buying – 100 Words on each Subhead, and I try to put around 5 to 6 Subheads here. For homepage, I try to make it around 2500 to 3500 words. Content is one of the most important aspects of getting your niche site ranked. I discussed everything I follow to make sure my niche site contents are of high quality. To increase the possibility of higher ranking in SERP, you should also take care of all the on-page issues. There is no doubt they still matter in ranking. I covered On-Page optimization details on this post. 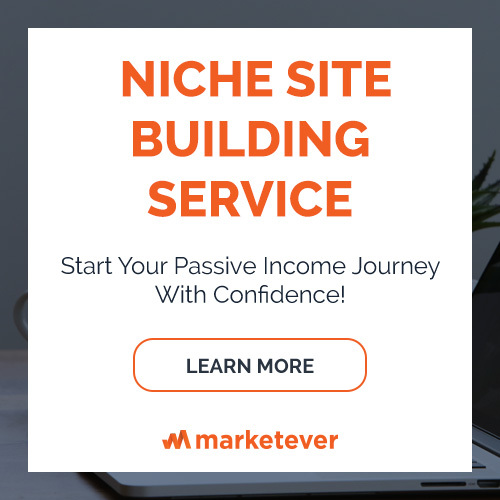 Check it out and make sure you follow everything on your niche site post before it gets live! Writing great content does require some legwork, but it can pay off tenfold. Once you have your GREAT content live, you give yourself the potential to make sale after sale without any extra work on your part. Follow these steps, follow these rules, and you’ll be well on your way to get more conversion rate on Amazon than you are getting now. These tactics are working for me, and I’m confident it will work for you too! Thank you for the post. I have been waiting for the post. So, did not start to write content to my niche site. Now, i will start to write with your guideline. Thanks Tanvir. I’m glad that you loved the post! Thanks for such an engaging post on how to write contents that converts. One thing I want to about home page content. Do you use comparison table on home page? If your answer is yes, then do you write 250/300 words short review of the products in the comparison list? Hope you will get back to this. Thanks for the question, Raihan! Yes, I do add 250/300 word reviews of each product on the homepage. Furthermore, I add a comparison table at the top with detailed feature comparison with top 10 product I list on my homepage. Please let me know if you have any more question. I would love to answer. Thanks for your response. As you said, you use comparison table on homepage with detailed feature. If I use AuthorityAzon theme, it has an option to create comparison table using the written product reviews. Do you create homepage after writing 10 reviews to create the comparison table on AuthorityAzon? Or you use TablePress plugin or Shortcode Ultimate to create the homepage comparison table? Hope you’ll get back to this shortly. Before answering the question, I want to discuss about a limitation of AuthorityAzon theme. You can only automatically create comparison table to with the products you have already reviewed (review content published) on your site. So AuthorityAzon default comparison table creator is not a good option at all. I don’t depend on this option much, instead I use Shortcode Ultimate table creator to create beautiful comparison tables. To say that its great writing & guideline for Niche site owner. As we are the beginner, this guideline will help us much more. One thing that i know many bloggers finds very difficult is trying to write articles for Amazon niche site especially about a product you’ve never used yourself. This can really be very tedious and time consuming but when there is a gigantic guide like this post of yours, it will certainly make the whole process very easy and straight forward. I just bookmarked the page. Thanks for the heads up, Theodore! Very informative article. Would you please write a few words on keyword searching? Thanks Mr Al-Amin Kabir for writing this much needed article. After reading full article i have got all of my answers on niche content developing. it will be helpful to enrich my business. It’s a very comprehensive article by Al-Amin Kabir. Some new writers are entering day by day in the sector of blogging, but they find difficulties to write articles for the niche sites of Amazon. This guideline will show the pathway to them for writing appropriate articles. Thanks, dear Al-Amin Kabir for your outstanding contribution to the new writers, sustaining in this sector impressively. I love you Al-Amin Kabir and blog Maketever! Your content very great. You try publish new post frequently. I always follow you. Awesome article about niche site. I will follow these step. Thanks a lot. Actually i was confused how to start writing content for my niche site. I am happy that get your blog and such a nice article about content writing. Now i have full confident that i can write quality content. I have one question: When i use Image with affiliate link it`s should be open new tab or same page redirect? I am starting my niche site journey very soon. I’m following your facebook group and this blog to get started. Product List Long Tail Keyword Contents can put in home page ? What a beast of an article! I’ve noticed over time that when my niche articles range between 1000 – 2500 words long, I definitely rank better for keywords and I get more readers clicking on affiliate links than compared to my 500 words articles. I completely agree with you about making content easy to read. Generally, when I encounter a difficult topic, I use the Feynman technique. By breaking it down into the simplest form and working my way up to understanding everything, I end up with an outline that helps me write an extremely east to understand article for readers. Thank you so much for your unique and useful content post. I completely agree with your article that making the content easy to read is very important thing to keep in mind while writing your contact. Thanks for sharing dear. Hello brother. i have read your full article. and want to make a a niche site on bisesd Amazon products. so i want to know a example optimized niche site address. please give a niche site URL. and i want to know wich catagory’s products are benifichial for me? Hi Al-Amin, which is better, on page or on post we should write the homepage? Writing is a creative endeavor that follows some set of rules. When you are writing, you can play around with these rules and there is nothing wrong with that for as long as it works. Actually, what people want when they read is to be amused, touched, or learn something. Excellent site and article. Definitely clarified a lot of things for me. * Do you link individual product reviews from the ‘Product List Long Tail Keyword Contents’ or ‘home page’? Or would the products selected for individual reviews be different? Al Amin vi, I have same question like Mr. Girish. Definitely you wrote a great content. Thanks Al Amin Kabir vai. I’m a newbie in content writing. Fortunately a hand of god led me here! Thank you for insight. Thanks Al-Amin Kabir for this great informative post. One question please; on homepage is there a reason why you don’t put a comparison table? This article helped me a lot. I am going to launch a niche site very soon and was looking for some ideas. You cleared my misconception with this article. Thanks for such great writing. I find this information so insightful. I’m a freelancer and blogger who would like to see my blog grow and convert my sweat to a five figure monthly salary. I must say that your post is very resourceful and offers a lot of great tips on writing product reviews and writing landing pages that attract traffic. I am happy I stopped by. A very detailed post there. Thanks for sharing those resourceful insights. I will be implementing them as I work on my new niche site. Thank you very much for all the time and thought you have obviously put into all your articles. You could easily sell them, so, thank you for offering it to us for free. I have a question. You mentioned a table of contents should be included. Do you mean it should be on the homepage, such as the one you included above? Great content. 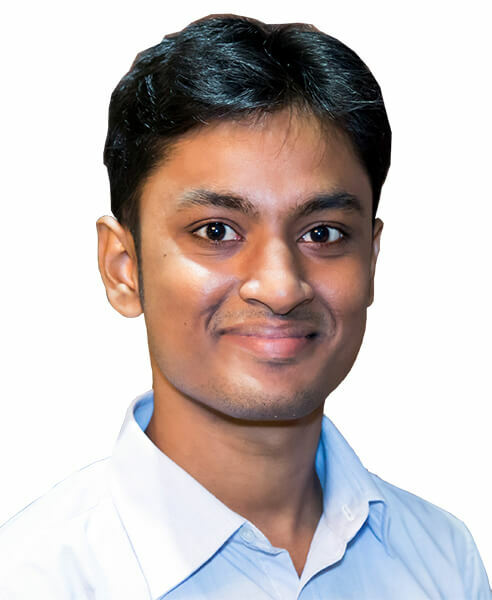 I am a freelance content writer. I have a question. Is “WhiteSmoke” desktop application premium? Or I can get some link. Please help.